You don’t have to choose between affordability and beauty in Palmer. You can have both. It’s for this reason we think Palmer is possibly the most overlooked and undervalued neighbourhood in Burlington. Palmer offers possibly the best value for your money: large lots, mature trees, top schools, and a central location. One of our favourite layouts is featured predominantly in Palmer. The 4 level side-split. The sizeable square footage, and flowing layout with shorter staircases is very appealing to most buyers. It’s where all of the teachers shop. But in addition to having tons of educational books and supplies, this is a perfect place to host your kid’s next birthday party, if you are looking for something beyond a princess or superhero occasion. Speaking of kids: Once Upon a Child is the place to sell or shop. They’ll sort through all your gently used items and give you cash on the spot. But that’s only if you’re not tempted by all their offerings and owe them money back by the time you leave. Kwality Fine Indian Cuisine is in Palmer. Pakoras, samosas, biryani and korma. Oh, and it’s all you can eat? Yes please. This may be the best ethnic food in the city. How much does it cost to live in Palmer? Your typical neighbours are families. Families in the baby phase, families in the teenager phase and everything in between. Driving to Toronto from Palmer takes approximately 40 minutes. However, during rush hour the time you spend in the car could increase to approximately 1 hour 15 minutes. Using the Burlington GO Station is a huge benefit to local residents and gives commuters a consistent travel time to Union Station of 53 minutes. Palmer is also situated close to the QEW. Drive through Palmer and you will find tree-lined streets with wide sidewalks on both sides and detached homes set back from the road. It’s hard to overstate the value of having space, and it’s precisely because it can’t be quantified that builders of newer subdivisions have given it up in favour of cramming more dwellings on smaller lots. Many of the properties in this neighbourhood have been reworked, added to and updated to suit modern expectations. While the neighbourhood is considered mature, choosing to buy a home in Palmer doesn’t mean you have to give up an open concept layout or modern finishes. Many of the properties in this neighbourhood have been reworked, added to and updated to suit modern expectations. That said, there are also plenty of options for buyers who want to spend less and do their own renovations. The house styles are plenty and varied in Palmer, Two of the most spacious options are the 4 level side-split and the 4 & 5 level back-splits. These homes usually have main floor family rooms in addition to the primary living area, multiple bathrooms and space for as many bedrooms as you need. But if you’re looking for something a bit smaller, the area also has some traditional bungalows, condo-townhomes, semis and links. 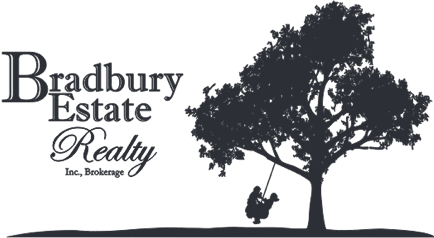 If you are on the fence about buying a home in Palmer, the location just might be the factor that tips you over. Palmer is more-or-less the very centre of Burlington. 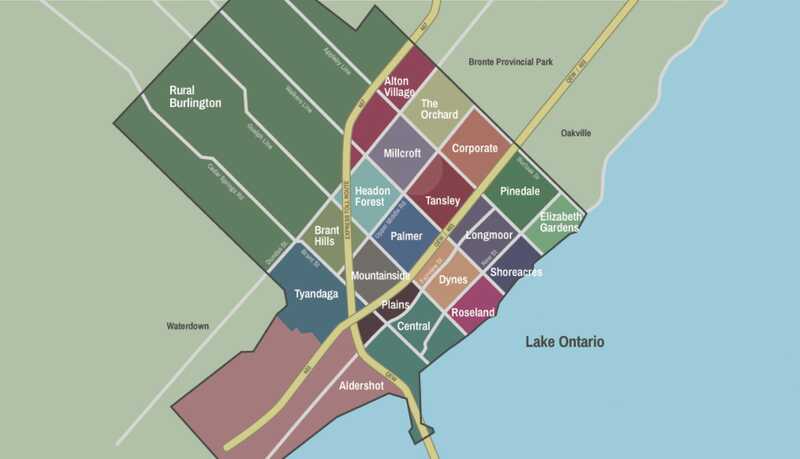 That means every business, every person, every attraction in Burlington is a 10 minute drive or less from your door-step. Consider the value of that the next time you spend 40 minutes on the TTC carrying groceries home.